This site is dedicated to the emergency rescue personnel who have helped keep the public safe both on and off the Bear Creek Ski Resort mountain. 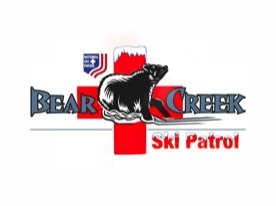 The patrollers at Bear Creek Ski Resort pride themselves on providing exceptional outdoor emergency medical care. The services that are provided to the patrons of the mountain are provided free of charge by this non profit-organization. Our combination of career and volunteer professionals fluidly rescue, treat and transport traumatic and medical emergencies that occur at the facility. They spend a significant amount of their free time ensuring that they are properly educated, trained, and prepared for any situation and that their equipment is top-notch. You can help the Bear Creek Ski Patrol continue its mission of providing free high quality medical treatment to the patrons of the mountain by making a secure, tax-deductible donation via PayPal listed below or in person. Any amount you give goes towards improving the medical care, training, and ensuring that the Bear Creek Ski Patrol has the most advanced tools to perform its duties.